In countless worlds Steve is happy to dig endlessly in a quest for diamonds and glory, and now he can continue his quest at your home. 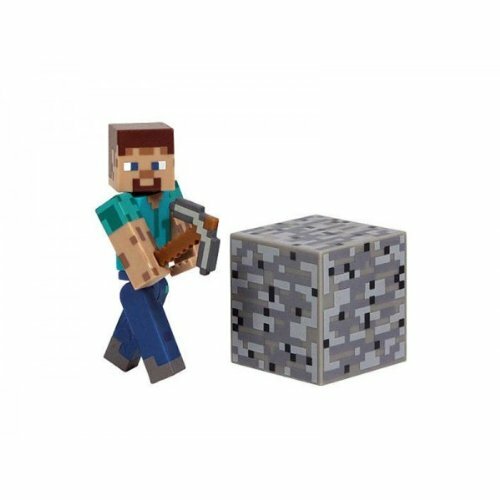 Steve comes with his removable pickaxe and a Dirt Block accessory so that he can get to work right away. His poseable arms help tackle any obstacle; he makes a great gift for Minecraft enthusiasts, fans and for minor miners. Minecraft Steve action figure is approximately 3-inches tall. Ages 3+.